February 22, 2016 — The Alliance for Academic Freedom (AAF) urges members of the Vassar College community to firmly reject calls to engage in any boycott, divestment or sanctions (BDS) against the state of Israel. The AAF opposes BDS on multiple grounds: They are harmful to principles of academic freedom, corrosive of a campus atmosphere conducive to dialogue, discriminatory in practice, and destructive of the ends of Middle East peace and coexistence that we support. The AAF comprises more than 200 scholars and academics from across North America. Liberal and progressive in our politics, we oppose the continued occupation of the Palestinian territories; advocate a negotiated two-state solution to the Israeli-Palestinian conflict; and support the humanity and national aspirations of both peoples. We encourage dialogue and empathy on college campuses instead of the demonization of either side. In today’s campus atmosphere, BDS is too often portrayed as the only alternative to Israeli occupation of the Palestinian territories. We urge members of the Vassar College community to reject this false logic. It is incumbent on members of an academic community to seek deeper understanding of the complex conflicts between and among Israelis and Palestinians rather than to oversimplify them. 1. Because it includes a demand for an academic boycott, BDS fundamentally violates the principles of academic freedom on which scholarship and education vitally depend. By proscribing contact with Israeli professors, students, and universities — and the projects and activities they sponsor in Israel and abroad — it wrongly limits opportunities for study, research, and scholarship for North American and Israeli scholars and students alike. To cite but one example, BDS demands that universities such as Vassar cease to offer study-abroad programs in Israel, thereby denying to North American students a potentially enriching academic opportunity. 2. BDS measures discriminate against individuals on the basis of nationality and, by extension, religion. BDS advocates claim to shun contact only with institutions, not individuals, but this is a distinction without a difference. In practice, those who have been punished—denied admission to university programs, removed from editorial boards, prevented from speaking in academic settings—are selected on the basis of their nationality, without regard to the nature of their scholarship. 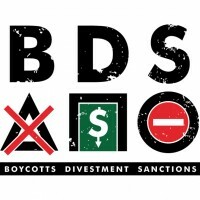 In practice, BDS amounts to blacklisting. 3. Official BDS guidelines mandate opposition to what is euphemistically called “normalization” and what in practice amounts to all constructive efforts between Israelis and Palestinians to bridge their divides. “Anti-normalization” precludes all collaborative research, study tours, and joint projects that surmount national suspicions by familiarizing the parties with each other’s viewpoints and narratives, all efforts to move toward peaceful coexistence. Anti-normalization is the continuation of war by other means; it entails siding with one nationalism against another, rather than supporting progressive forces and opposing reactionary forces within each nation. 4. The official BDS position is to oppose not only Israel’s occupation of lands conquered in the 1967 war but its very existence as a Jewish state. Slogans such as “from the river to the sea, Palestine will be free” deny the legitimacy of a Jewish state in any of the lands that both peoples currently inhabit. Such an outcome is morally illegitimate, because it seeks to erase an existing state that is home to a people with a longstanding historical consciousness. And it is also completely impracticable, because the call to extirpate the Jewish state is a recipe for even greater conflict and bloodshed than the region has already seen. 5. BDS damages the prospects for peace by emboldening the most extremist elements on both sides. On the one hand, it encourages Palestinian rejectionism—the unwillingness to compromise in peace negotiations. On the other hand, it plays into the hands of the irredentist Israeli right by confirming longstanding fears that the Jewish people are and will always be perpetually under siege. Those whose voices are eclipsed by BDS resolutions are those working for compromise and peace. 6. Many channels already exist for activists to express their opposition to the status quo in Israel and Palestine and to work for change. We encourage faculty and students to support the many initiatives and organizations that exist which bring both peoples, and others interested in their futures, together to work toward that goal. Whereas the BDS campaign does nothing to improve Palestinians’ lives, many of these other opportunities can make a tangible and immediate difference in helping their situation. A guide to these initiatives and organizations is available at https://thirdnarrative.org/wp-content/uploads/2015/11/The-Third-Narrative-Progressive-Action-Guide.pdf. The AAF consists of liberal and progressive scholars dedicated to combating academic boycotts and blacklists, defending freedom of expression and promoting empathy in the debate over Israelis and Palestinians.